Three carers caught neglecting an 84-year-old Alzheimer's patient at a care home after the victim's family hid a camera in her room have been sentenced. 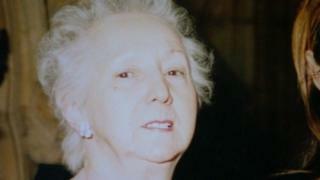 Freda Jobson was "cruelly mocked" and "mimicked" at Keldgate Manor Residential Home in Beverley. Tracy Priestley, 41, Sophie Hinchsliff, 24, and Danielle Snowden, 25, pleaded guilty to ill-treating or wilfully neglecting a person without capacity. They were each handed a 12-month community order at Hull Crown Court. Mrs Jobson's family installed the secret camera after becoming "suspicious" about her care at the East Yorkshire home. Footage of the three women leaning over the great-grandmother laughing and mimicking her groans as she lay in bed was shown in court. Recorder Darren Preston said the "appalling treatment" was "nothing short of abuse" and went "way beyond disrespectful". All three admitted to police that their actions were "disrespectful" after they saw the footage, the court heard. After the sentencing, Helen Wheatley, of the Crown Prosecution Service, said: "This was a deeply distressing case, in which a vulnerable, elderly lady was cruelly mocked and made fun of by those charged with her care. "This lady and her family had every right to expect that she would be treated with care, dignity and respect. "Her three carers profoundly abused this trust." Priestley, of Burden Close in Beverley, was ordered to carry out 240 hours of unpaid work and given a curfew. Hinchsliff, of Wharton Avenue in Beverley, and Snowden, of 40th Avenue in Hull, were ordered to complete 200 hours and both were also told to each pay £1,500 in compensation.